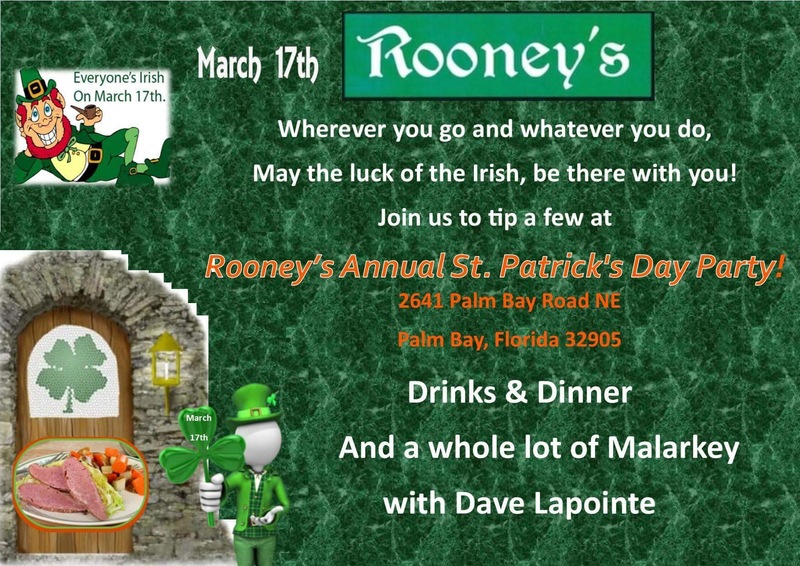 Serving Rooney’s famous corned beef and cabbage since 1981…. 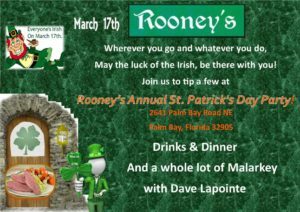 Make your reservations in advance…… Join the fun with Dinner, Drinks and a whole lot of Malarkey with Dave LaPoint!! !